Lighter, stronger, and better looking than its counterpart, the carbon wakeskim runs hard and fast while staying light for aerials and snappy turns. Both fiberglass and carbon board constructions have down turned rails for keeping speed, wake-styled screw through thruster fins for staying in the pocket, a consistent rocker for pop, and diamond-grooved 2-piece traction with a ramped heel pad for maneuverability and tricks. This board is as good as it gets! 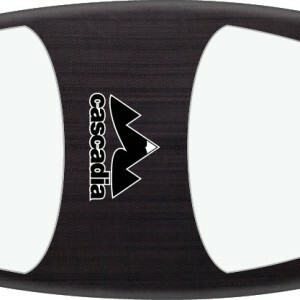 Cascadia compression molded wakesurfs are built with skim-style wakesurfing in mind. 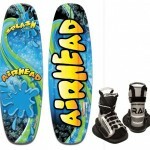 Each board is hand-laid into a digitally-designed mold that creates a unique airless bond between the resin and the fiberglass or carbon. The boards are then carefully polished before being hand-painted with UV coating. These make use of some of the strongest and highest-performing technologies that Cascadia has to offer, and you don’t need to worry about dings, because the polyurethane core is closed cell to keep water out. Developed in the heart of Cascadia, Vancouver Island, Cascadia Board Co was created after a decade of building boards for other people and brands. We thought it was time to build boards specific to our needs across all the sports we ride. While the design and development is still in our hands, we’ve recruited some of the best producers in the world to take our designs shaped from Tofino to Maui and turn them into a reality. We strive to make, build, and distribute the best possible products at a competitive price so more people can have fun riding. We stand behind all of the products we sell because we design and develop them based on what we like to ride. That’s what we’re about at Cascadia Board Company. 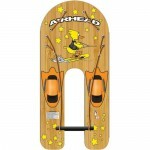 Watersports gear that works. Here’s to doing what you love.